“Fear the Walking Dead” is going to be pretty different from its “mothership,” AMC’s megahit zombie series “The Walking Dead,” according to cast and creators. Speaking onstage at the Television Critics’ Association’s summer press tour, showrunners Dave Erickson and Adam Davidson promised a much more “slow burn” of a story of how the human population disintegrates into a zombie apocalypse. The show follows a blended family, led by Madison (Kim Dickens) and Travis (Cliff Curtis), and Madison’s children, Nick (Frank Dillane) and Alicia (Alycia Debnam-Carey). Just as they’re settling into cohabitation and Nick is coming off a heroin bender, they discover something very, very bad is happening on a large scale. The show is set in Los Angeles, which makes it ripe for the zombie infection to spread quickly through a massive number of people. 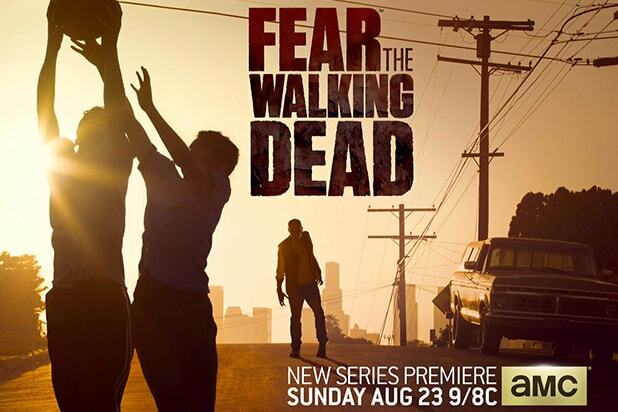 “Fear the Walking Dead” premieres Sunday, Aug. 23 on AMC, and has already been picked up for a 15-episode second season.